TOKYO, July 11, 2010 (AFP) - Polls opened on Sunday for Japan's upper house election, a crucial test for new Prime Minister Naoto Kan and the 10-month-old centre-left coalition government. The ruling coalition led by the Democratic Party of Japan is seeking to retain a majority in the upper house to match its control of the powerful lower house, which it won last summer in a landslide victory. But pre-election polls have indicated that the coalition is likely to fall short of its aim, with many voters turned off by Kan's proposal for a debate on a tax hike to restore battered public finances. Around 104 million Japanese are eligible to vote and more than 9.5 million voters have already cast early ballots. Polling stations close at 8:00 pm (1100 GMT), with media exit polls expected immediately afterwards. Voters will elect only half the members of the upper house, but a failure by the ruling camp to secure a majority in the chamber would make it harder for it to pass laws and bring the risk of political deadlock. 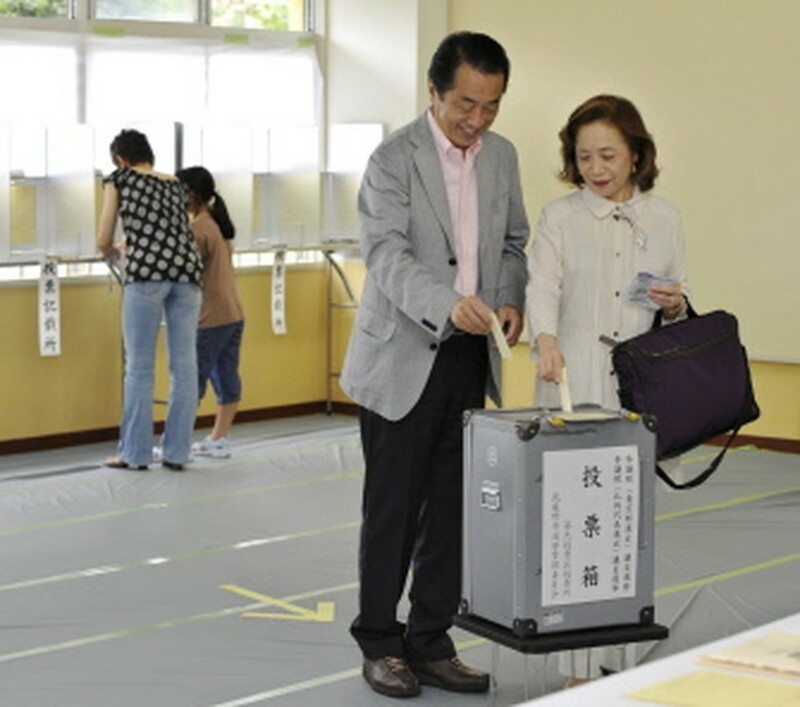 The vote is regarded as the first referendum on Kan, a 63-year-old former leftist activist, who took power on June 8 after former premier Yukio Hatoyama resigned over funding scandals and a US military base dispute. It is also the first national test at the ballot box since the party swept to power under Hatoyama last August, transforming politics in Asia's biggest economy after a half-century of almost unbroken conservative rule. "We have to create a stable, responsible political base by securing a majority in the upper house at any cost," the DPJ said in a statement issued on Sunday. "The DPJ will revive a vigorous Japan," the party said. "This is an election to ask whether we should move forward the politics launched with the power change. Please let us win." In the statement, however, the party apologised to voters for "causing confusion and distrust" over the funding scandals, the US base dispute and abrupt proposals for a tax debate. Kan is seeking popular support to draw a line under a period of revolving-door politics that has seen five new premiers in four years. "From the bottom of my heart I would like to ask you to let the DPJ exercise policies that restore Japan's troubled economy and public finances as well as social welfare all together," Kan told voters on the eve of the election. Faced with sagging support, Kan has denied any plan for an immediate rise in the current five-percent consumption tax, but defended his warning about the nation's swelling public debt, which is nearly 200 percent of GDP. The largest opposition party, the Liberal Democratic Party, ousted from power last year, said in a statement: "We have to prevent the ruling coalition from obtaining a majority." "We cannot expect economic recovery with the DPJ's pork-barrel policies," it added. Half of the chamber's 242 seats are up for grabs in Sunday's election. The DPJ, which holds 62 uncontested seats, needs to win at least 60 seats to gain a clear majority, or at least 56 seats to maintain the status quo with its coalition partner, the tiny People's New Party. But recent newspaper polls have suggested Kan's coalition may win only around 50 seats, far short of a majority in the upper house. The People's New Party is struggling to win a single seat. If the DPJ wins fewer seats, it would need new allies. A serious defeat would even leave Kan open to internal party leadership challenges, as the party is scheduled to hold its own presidential election in September.